LG leverage consumer relevant certification and communications platforms to successfully launch an innovative new product in the US. John Weinstock, VP of Marketing LG Electronics, USA. 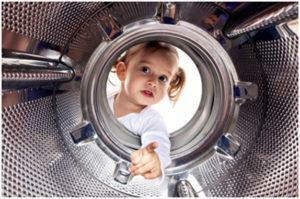 LG was launching a its first washing machine based on TrueSteam® technology. The machine is effective not only in reducing allergens but in saving energy and water. The challenge was how to successfully launch a new product in a competitive marketplace during a tough economic period. In 2008, LG turned to the independent asthma & allergy friendly® Certification Program for its stringent standards and the reputation of the Asthma and Allergy Foundation of America (AAFA) for patient advocacy. They wanted to appeal to a growing number of consumers who were purchasing products with allergen reduction features and environmental control. Not only are consumers increasingly confused by unproven allergy based claims on home appliances but are willing to seek out products with validated scientific performance claims. 48% of respondents of the National Harris Interactive Survey with asthma and allergies feel the asthma & allergy friendly® Certification Mark is a ‘better choice’ for families. Households with children are more likely to purchase products displaying Bert’s Mark and believe it indicates ‘higher quality’ products. They were able to use their certification to provide peace of mind for consumers and build trust in the product and the brand. They integrated the testing results and scientific research expertise of Allergy Standards Ltd (ASL) into the brand’s core features and general messaging. LG capitalized on ASL’s market data and consumer sentiment with regard to allergies and a healthy home to develop their go to market strategy, collateral and tactics. By collaborating with ASL they developed relevant, rich, educational content to engage customers on healthy indoor living issues and leverage credible platforms on which to launch their product including a media launch event in New York with keynote scientific speakers provided by the program. They incorporated key messaging into their advertising and in-store collateral, press releases, newsletters and articles, website, blogs, social media and launch events. LG is the number one front loading washing machine brand in the USA and their targeted marketing efforts have allowed them to achieve growth in their target sector in a tough economic period. They have deepened customer engagement and feedback with many appearances on blogs, chat rooms and forums. They continue to benefit from endorsement from AAFA and the huge volumes of concerned consumers who use their resources. To date, LG has certified 11 different models of washing machines as asthma & allergy friendly®® and has entered into a long term agreement with the Certification Program. Together with AAFA and retail partners such as the Home Depot they continue to inform and empower consumers about environmental control and allergen reduction with educational content about healthy homes, co-branded in-store materials and magazines. LG continue to deliver powerful educational material to their target audience, deepening customer engagement and increasing their authority on the blogosphere and social media. They continue to leverage not for profit association with AAFA, strengthening their leadership position and building trust with their audience.